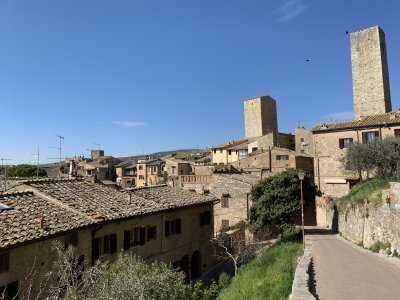 The medieval town of San Gimignano sits on top of a hill overlooking the Elsa Valley. It is 26 miles NW of Siena and 32 miles SW of Florence. 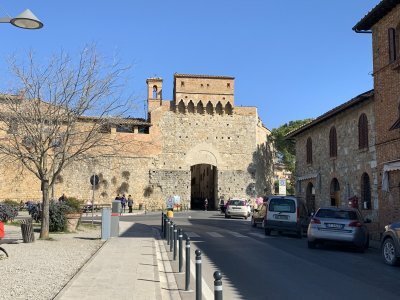 It was founded by the Etruscans and is known as the “Manhattan” of Italy because of the towers in the historic center. The towers were built by the wealthy aristrocrats and the wealthier you were the higher the tower. 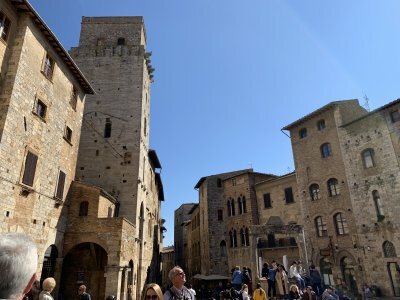 San Gimignano is a UNESCO World Heritage Site. 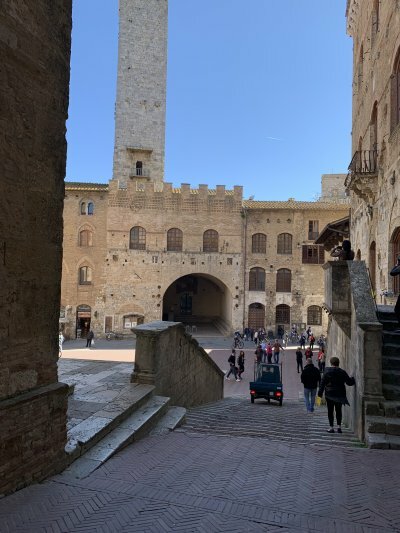 Entrance to San Gimignano. 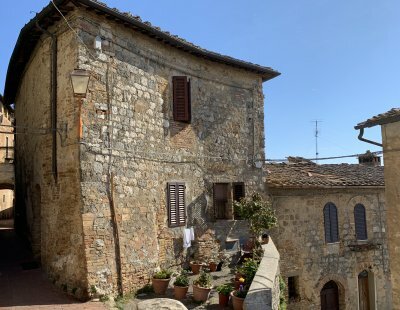 It is a walled city from the 13th century. It has well-preserved buildings in Romanesque and Gothic style. Of the original 72 towers, only 14 remain today. 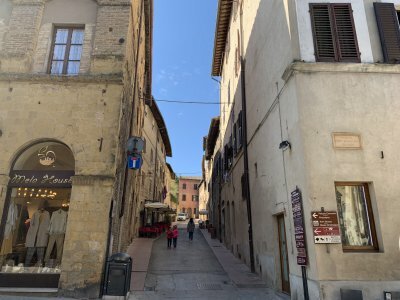 The streets are narrow and very walkable and very few cars are in the old city. 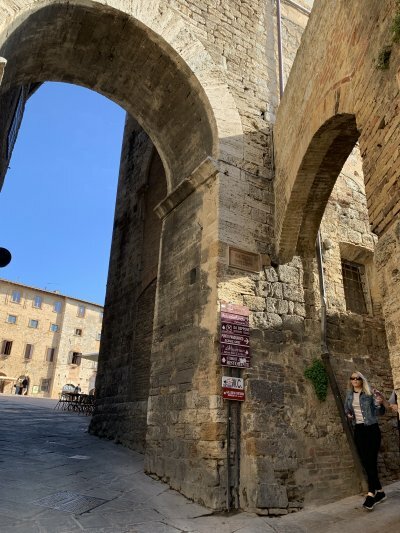 When in San Gimignano, you feel like you are back in the 13th century. The Duomo is in Piazza dei Duomo and dates from the 12th century. There are many other museums in the old city including a Torture Museum. Church of Sant’Agostino in Piazza Sant’Agostino built in the 13th century and the second largest church in the town. Palazzo de Communale (Municipal Palace) in the Piazza del Duomo. It was built between 1289 and 1298. 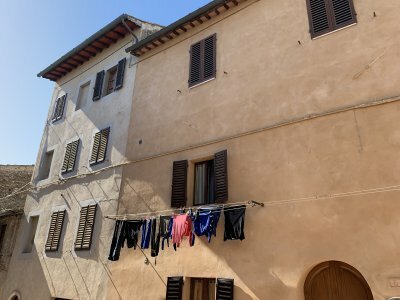 The civic offices of the town council are on the ground floor and on the upper floors are the Civic Museum (Museo Civico). 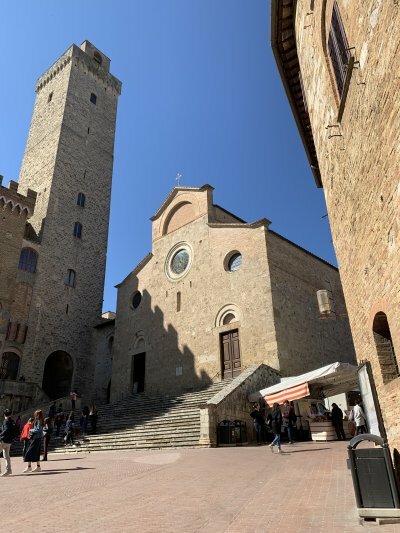 The Tower is the Torre Grossa and the tallest tower in San Gimignano. It was built in 1310 and is the only tower that can be climbed. Around every corner is another wonderful medieval view. 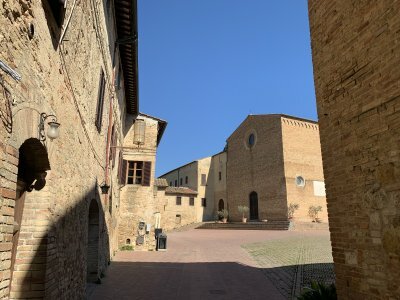 Piazza della Cisterna. The cistern was built in 1287. 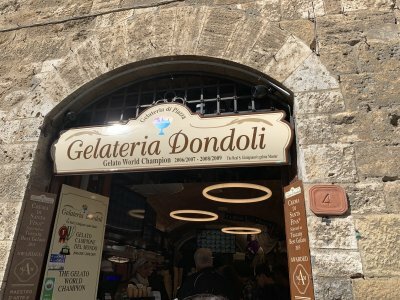 Make sure you try one of their famous gelatos while in San Gimignano. 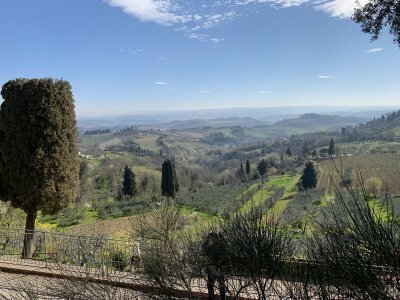 Also the town is known for producing saffron and wine from the Vernaccia grapes which are grown in the vineyards near the town. 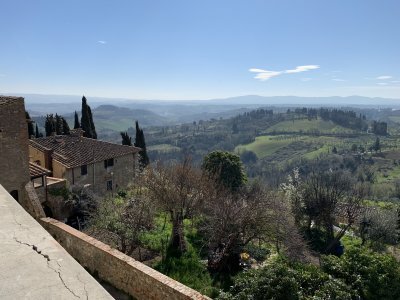 Views of Tuscany from San Gimignano.